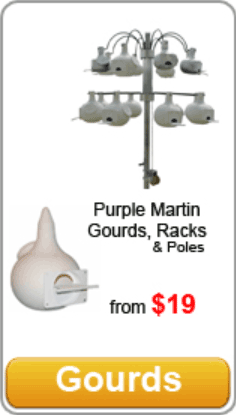 Shop for Purple Martin Houses and purple martin gourds at Purple-Martins.com, a website of Shop Carolina, Inc. We are your Purple Martin Experts and if you have any questions, just give us a call: 877-874-3726. 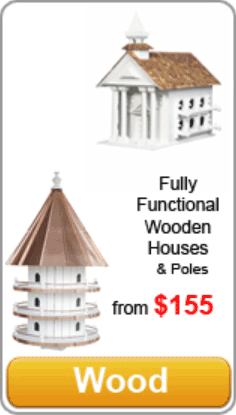 We have sold thousands of purple martin houses, purple martin gourds and purple martin poles and proudly feature Nature House aluminum purple martin houses, S&K plastic purple martin gourds and houses, Coates houses (now manufactured by Bird’s Choice), specialty wooden purple martin houses, including Amish purple martin houses and Lonestar aluminum houses. 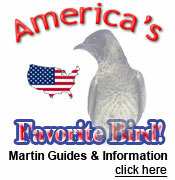 Purple martins migrate from South to North America each year beginning in January. 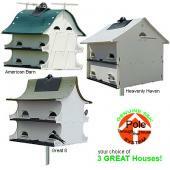 Due to loss of natural habitat, they rely on purple martin landlords like you to provide housing. In return they keep your backyard insect free. 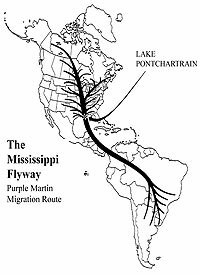 Once established, purple martin colonies return year after year, like the related swallows to Capistrano. 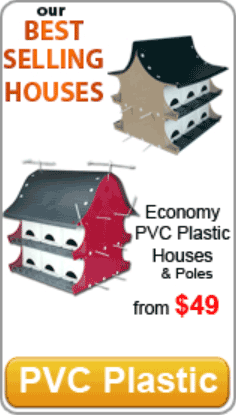 Purple-Martins.com aims to be your one stop Martin shop, offering everything from individual purple martin accessories as well as pre-packaged purple martin kits with everything you need to become a purple martin landlord. 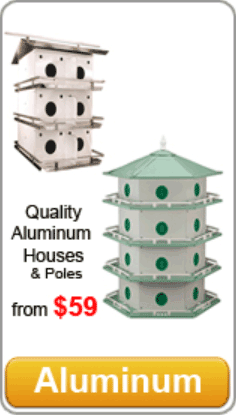 Our purple martin packages are especially popular as gifts for Christmas, Mother’s Day and Father’s Day.